Boom! 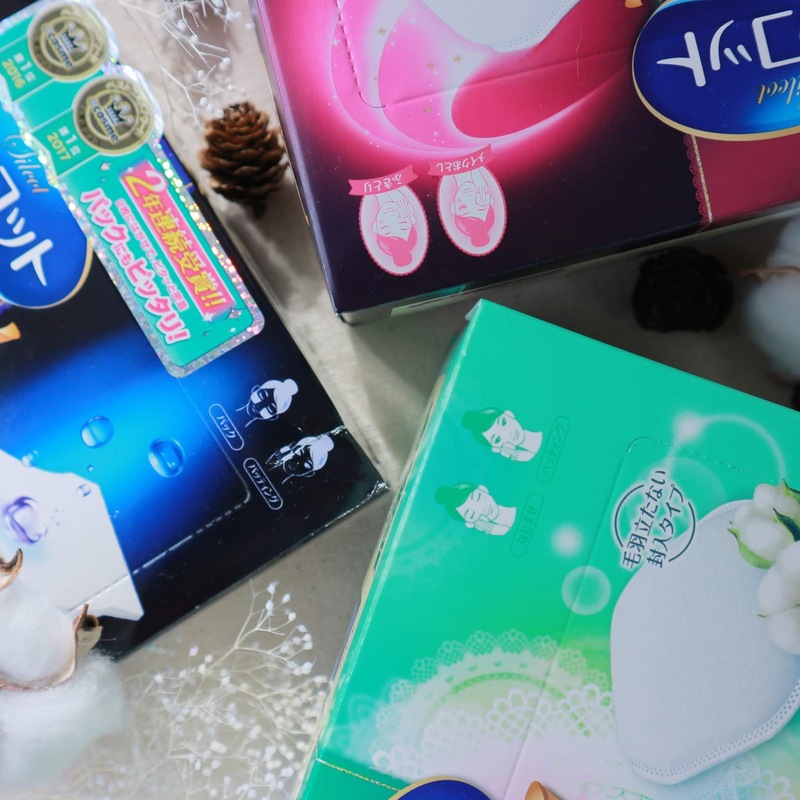 I'm back with another full blown review on one of the best selling cotton puff in Japan and throughout southeast Asia since they were released late last year 2017/ earlier in 2018 (not too sure), tons of famous bloggers were raving about it like its some holy grail of all cottons. As usual i was kinda skeptical over such exaggerated claims because you know they are usually paid to "rave" about products and not everyone of them are honest. That's why take information/ recommendations in with a pinch of salt, for this post i get to be brutally honest as i want because i PAID for my own products and it ain't cheap yo but for the sake of testing them out to see whether they live up to the hype. Also i learned the hard way that not all Japanese beauty products with the "Cosme Award" sticker, is good. If you are lucky you'll hit a jackpot, the rest was rather "meh" and companies can usually buy these award titles to help boost their sales. When you work in this industry long enough you'll know what goes on behind the scenes lol. 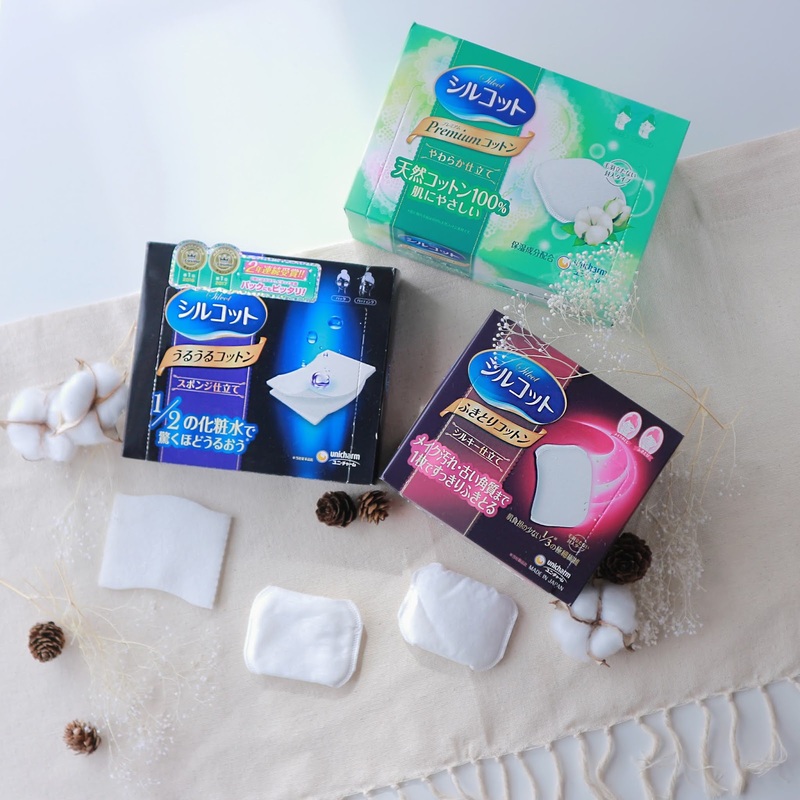 Silcot released a few types of cotton range though you would only be familiar with the "Uruuru" cotton which comes in a dark blue box and it's rather thin compared to your average cotton pad. In fact it's material reminds me very much of my felt fabric that i use for my crafting lol, that was my first impression during unboxing. Normal cotton pads are usually slightly puffy with stray cotton wool all over that tends to stick on your face as you wipe (super annoying) but for Silcot's they claim that you won't have this unpleasant experience using their super soft cottons as it's design, made with compact cotton fibers that locks in moisture without the cotton falling apart upon contact with liquid or while in action (wiping motion). Each box of cotton cost me about RM5-ish after converting it from Yen, so far in Japan the price ranges from 130yen to 200yen+ per box depending on places selling them. And i'm no longer eligible for tax free so i tend to scout around for good deals just to save abit more. So far the cheapest i've found (on promo) is around 130yen, and if it's 150yen-200yen that's the average selling price point. Each cotton released under this series has a specific function on its own, some might groan and say what la so mafan having individual types of cotton just for one face as we are used to using only 1 kind to remove make up and apply on lotion/ toner. It might sound like a marketing gimmick to get you to purchase more of their items (which i did out of curiosity) and i was proven wrong with my assumption. It's now like my holy grail of cotton pads now that even when i ran out of it and the danna asked me to use his which was some basic cotton (haha like mine so premium to call his "basic") which sticks together so closely that it's hard to get one pad out without damaging the one next to it. Yes we all at one point of our lives just got used to the fact of roughly ripping these cottons apart not caring if we took out 3-4 pcs at once because they were cheap. And normal type of cheap cottons usually leaves fine fiber of cotton residue on your skin which can sometimes end up in your eyes and irritate the sh*t out of it especially if you are wearing contact lenses. It's literally finding a needle (fine fiber) in a haystack (Your eyeball) situation. These usually happens on days when your eye make up is on point and only to ruin it with massive tearing and struggling to find that pesky fiber. Yep, story of every girl's life i'm sure. Gonna break down the cotton review based on their functions, performance, and some thoughts about it; also will i be repurchasing it again near future. Beginning with my all time favorite Ururu Cotton (dark blue box), this series is only meant for lotion, doesn't have any other usage. Their cotton pads isn't your usual puffy kind we are use to, in fact it gave me the impression that i was using my felt fabric to wipe my face lol! 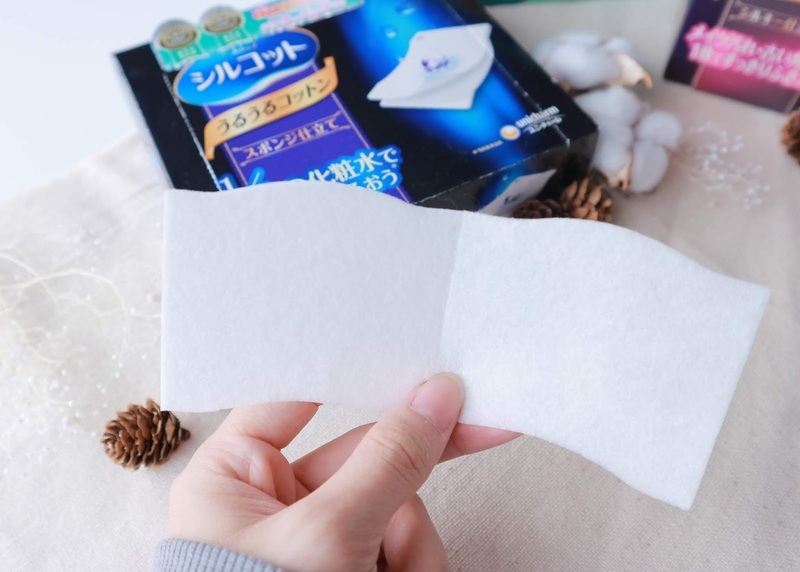 So it's a premium felt piece, but what's special about this pad is that it's meant to help you save up to 50% of your usual lotion or toner usage. It seems such a bizarre claim but after using it for a month i noticed that my lotion was still at half bottle while the rest of my other stuff are almost finished and usually all of them finish together! So instead of restocking my lotion once every 2 months, i can stretch it up to 3.5 months. It doesn't really save money per say as the cottons on it's own isn't exactly cheap (to Malaysians at least). Some of my IG followers gave me tips (thank you!) on how i can stretch my money even further with this, it comes in 2 pieces but you can tear it into half and just use 1 pc for the entire face and neck. It's sturdy enough that it doesn't tear even after being soaked. It definitely does work but i personally like to use 2 pcs together as i can mask the dry areas of my face for a minute before wiping. I have super dry skin so i'm trying to make it a routine to spare 1 min to mask the dry parts to make them less visible when i apply on make up. I tried to see if it can work as a make up remover as well, but apparently not. 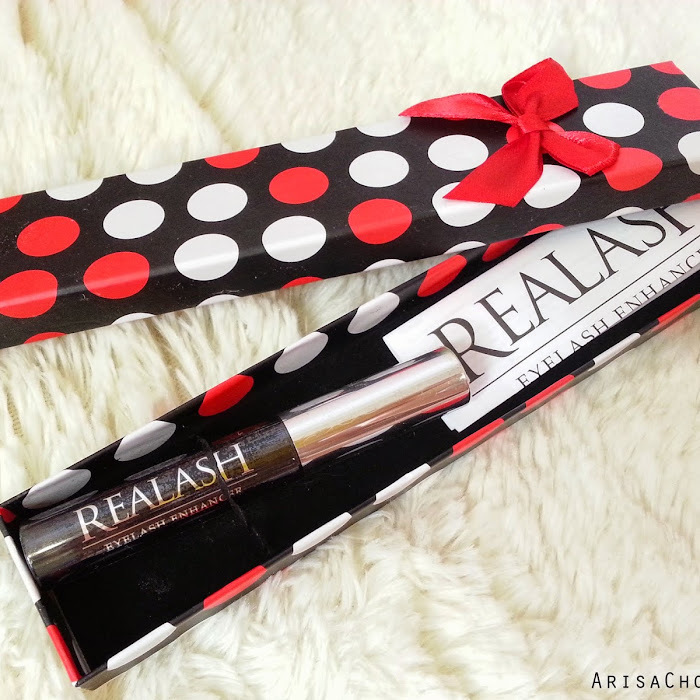 The material doesn't absorb make up residue so it just drags your make up all over your face instead of removing it. 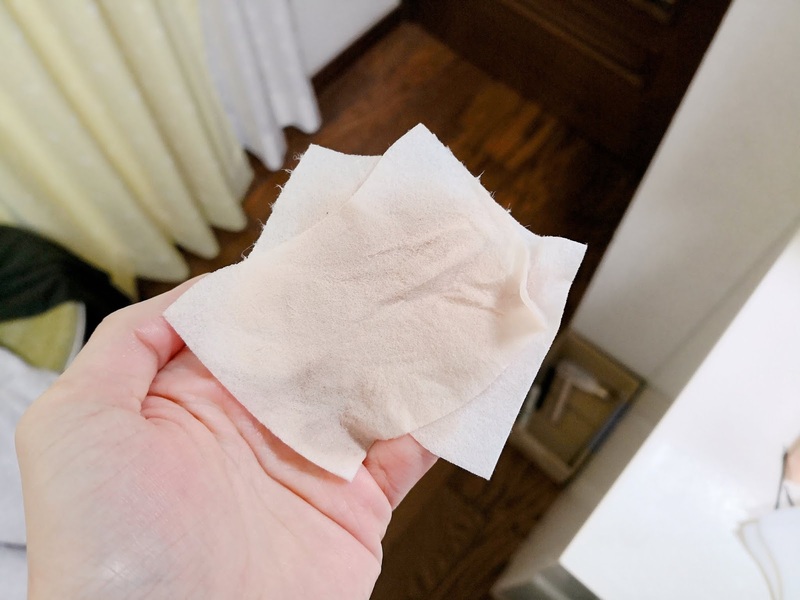 This cotton is meant for wiping (Fukitori), stated on the box that it's recommended for make up removal and this one has the least amount of pads compared to the rest. I was shocked i paid the same price for lesser quantity, so it better be worth it! 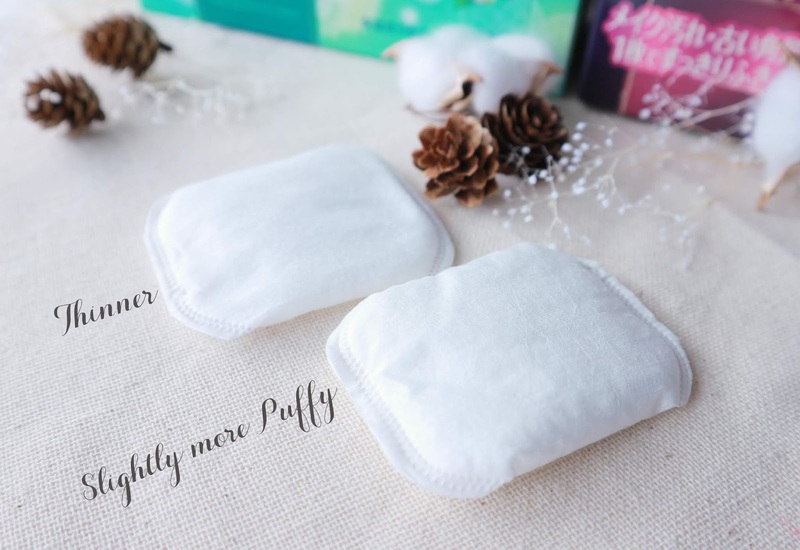 True enough, this is my 2nd favorite cotton pad that removes make up so effortlessly; it glides gently on the skin picking up all those waterproof make up without having to wipe so hard and the best part you don't need to use so many pads for your entire face. I shared on my IG stories before showing you guys that i only needed 2 pads for my entire face & neck, while for normal cotton pads i'll probably need 10 at least to make sure i get everything out. 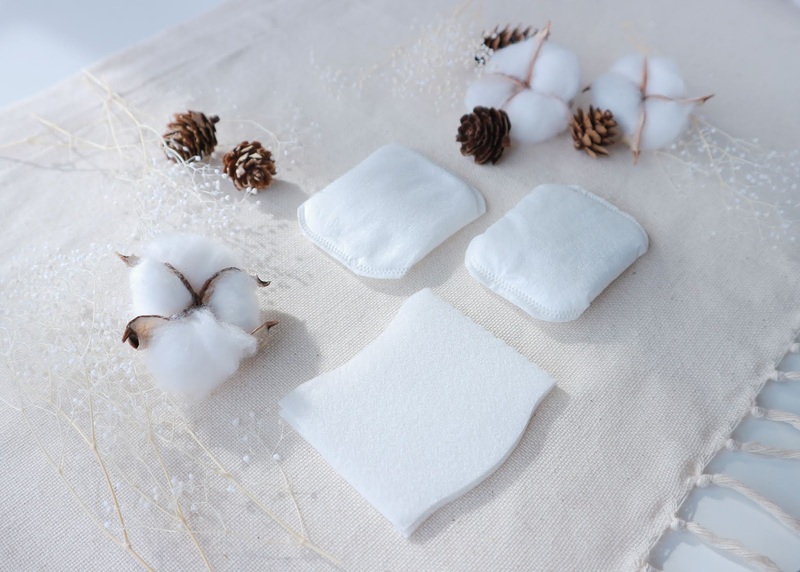 It's the puffiest cotton among all of Silcot's range, feels like dense cloud marshmallows on my hands and the reason behind it is that this cotton has a high absorbency capacity so after your make up melts it gets absorbed into the cotton thanks to its super fine fiber which traps micro impurities. It distributes your make up remover evenly throughout the cotton and remains in 1 piece even after usage. Seriously what magic Silcot used for their cottons, it's really sturdy! It picks up waterproof make up so easily, you don't have to rub your skin so hard. Gentle wiping motion will do and it will pick up 100% of it. You can barely see any of the make up on the pad because it has been absorbed. Make sure to maximize the usage by using both front & back of the cotton pad before picking up the next piece. You should be able to remove everything with only 2 pads, heavier make up probably requires 3-4. As much as i love this make up remover cotton pad, i find it super expensive because 32 pads can only last me like half a month if i use 2 pads everyday to remove make up. So i would need 2 boxes for 1 month's usage, about 400 yen+ just for make up remover cotton alone not including my lotion pads. This cotton is 100% natural cotton so there isn't any synthetic material mixed inside unlike the other 2, more suited for people who have super duper sensitive skin, it's also basically your normal kind of cotton; just more high end. The texture of this is very soft and luxurious, and can be used for just about anything as it's suitable for wiping or patting motion. I tried using this for my lotion, it does the job gently spreading all over my skin but doesn't help me save my lotion unlike Ururu and for make up removal it removes but i'll need to use abit more pads compared to Fukitori. Overall this cotton's usage is more on multipurpose, nothing special to it but i do enjoy its soft texture alot; feels like i'm using actual real cotton flowers on my face lol. If you have touched real cotton before you'll say the same for this! Paying more just for cotton, yes definitely (for some) as we are already committed to giving our skin the best with good skin care regime and make up, why skimp on cotton? It can feel abit tight on the wallet especially if it's gonna be part of your monthly expenses but that just mean i gotta cut out unnecessary expenditure elsewhere (like junk food) and stock up on these instead since i need it more than the junk calories lol. One thing for sure is all of Silcot's cottons performs as stated as claimed, it's also easy to grab one out of the box without worrying about all the cottons getting stuck together as they edges are individually sealed. They definitely deserve that award title for being the best cotton pads around and i've already gone through 3 boxes of Ururu as we speak lol. Also just bought myself a pack of their Velvet touch cotton (meant multipurpose usage), it's slightly cheaper compared to the rest with higher quantity (82 pads) and i can use it for my make up remover and nail polish remover without feeling the pinch. I seriously wouldn't wan't to waste my precious cotton on nail polish remover especially lol, so the cheapest would do but still the best nonetheless. You can get them at your nearest drug store in Japan both big and small like Matsumoto Kiyoshi, Daikoku Drug, Loft, Plaza or even stores like Bic Camera (beauty section) & Don Quijote. It's all over Japan, hard to miss! 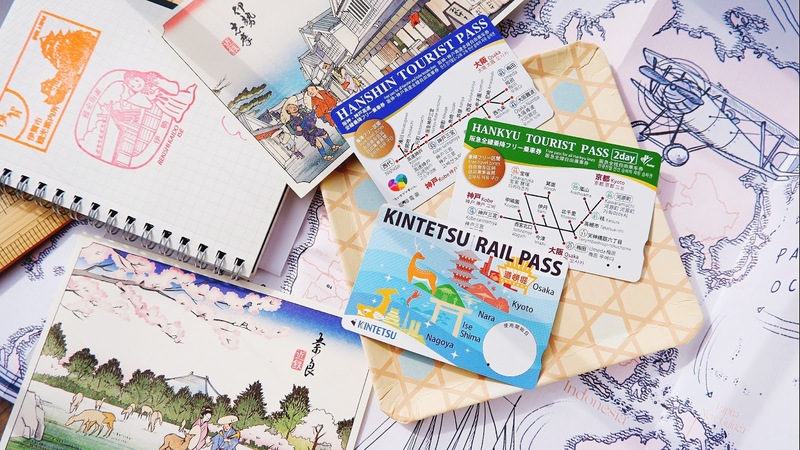 So if you are coming to Japan and wonder what souvenirs to get for your beauty junkie buddies, you can consider getting Silcot cottons. They'll thank you for it seriously and it's way cheaper here as well compared to Malaysia lol. Definitely under my #ArisaCertified list! Just don't borong balik the whole shelf like how some tourists do lol, that sight very selfish and scary as well; making it inconvenient for others who wants to buy.